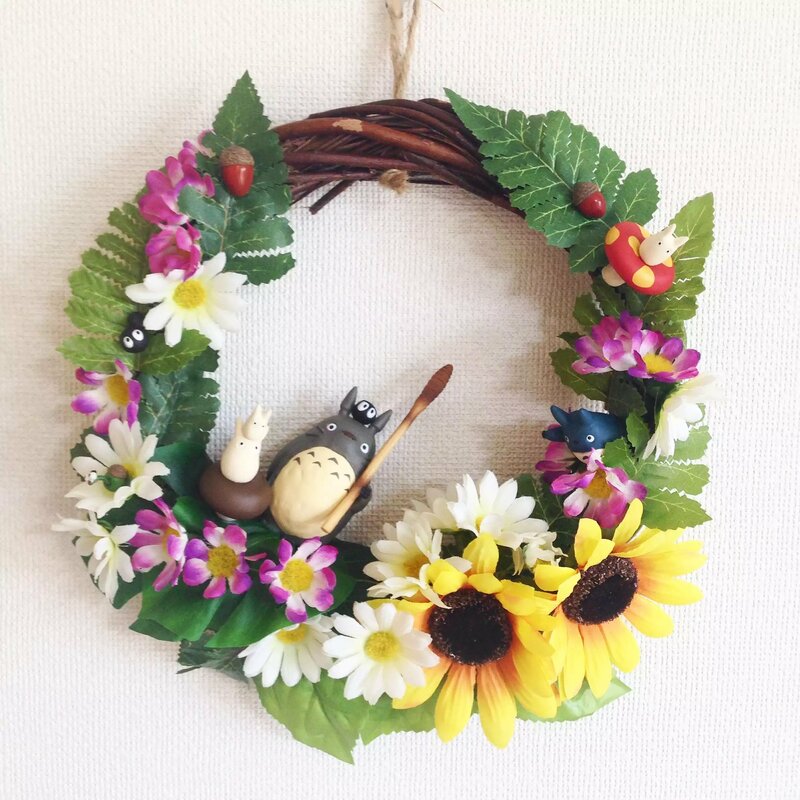 A while back I bought a set of Totoro figurines that I decided would look good on a wreath. Sometimes you have a creative idea that you envision in your mind, but because you can’t superimpose your thoughts to others, the people who hear about your idea might not be as excited about your idea as you are. This project was definitely one of those creative ideas. 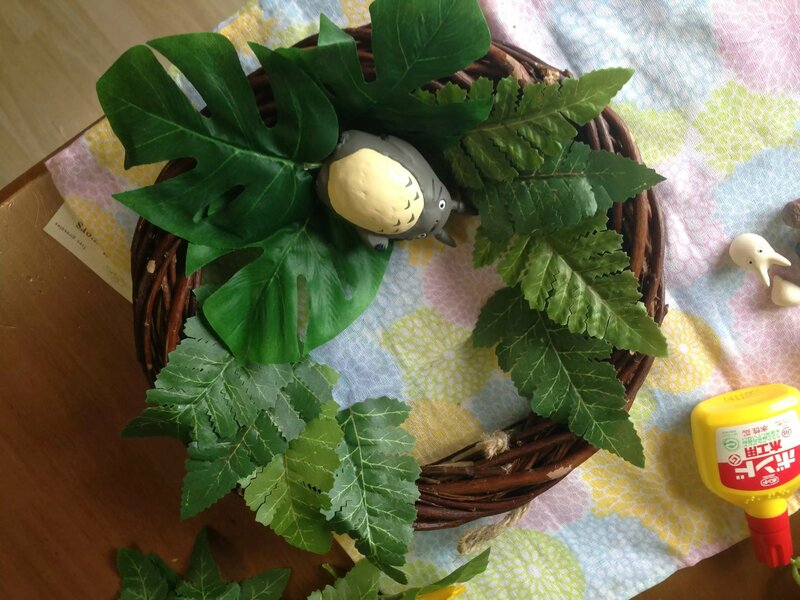 Now that I’ve finished it, I’d like to share it with all the Totoro fans out there! 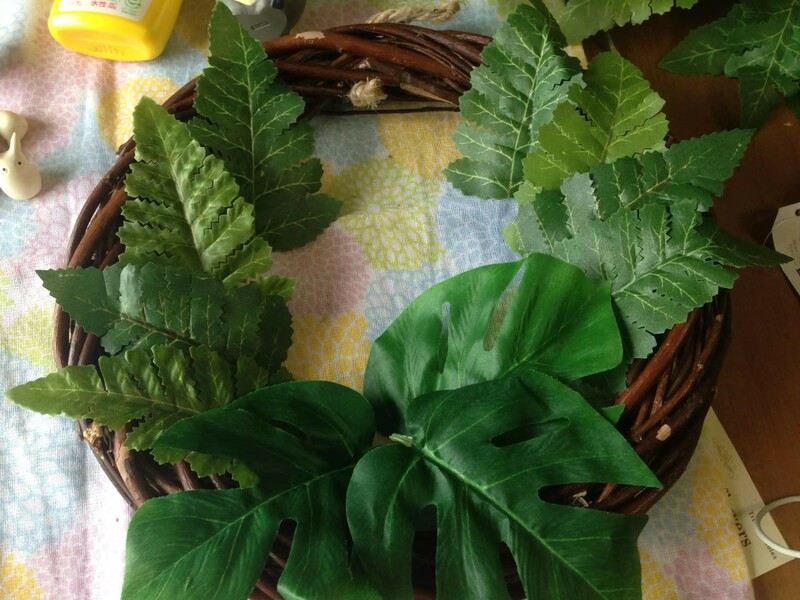 Glue the first layer of leaves… and wait to dry! Then I started gluing the next layer of flowers and ちゅう (middle) Totoro. More waiting… This time with Kerrigan to keep me company 🙂 Any Starcraft fans out there? Should’ve used a glue gun? After three days of gluing different pieces and propping them up at different angles to dry, I am finished! 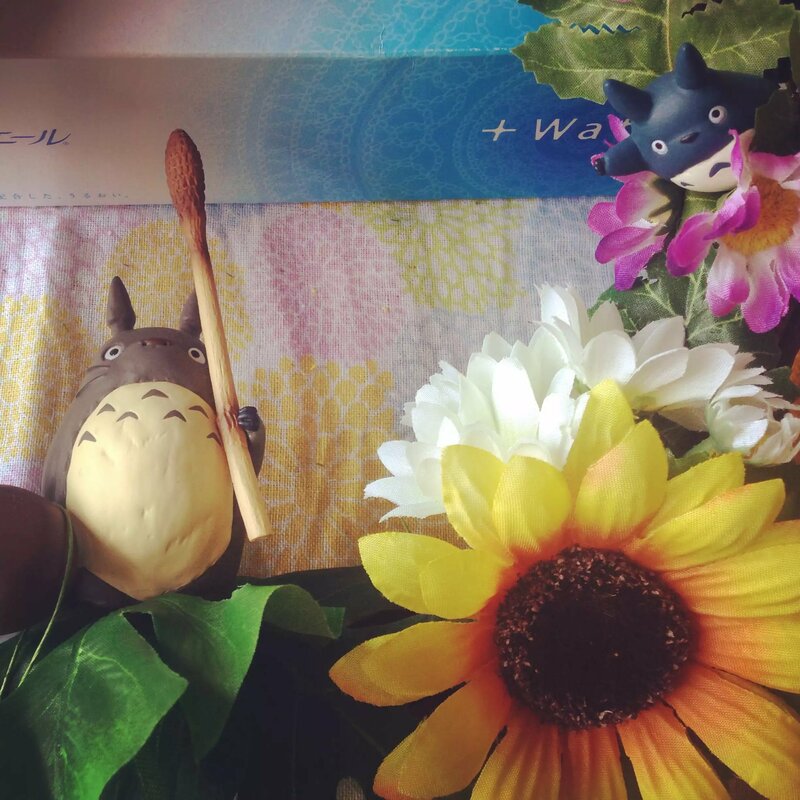 Before this, my Totoro figurines sat on a counter above my kitchen sink. I like this new way of displaying them much more. What do you think?! 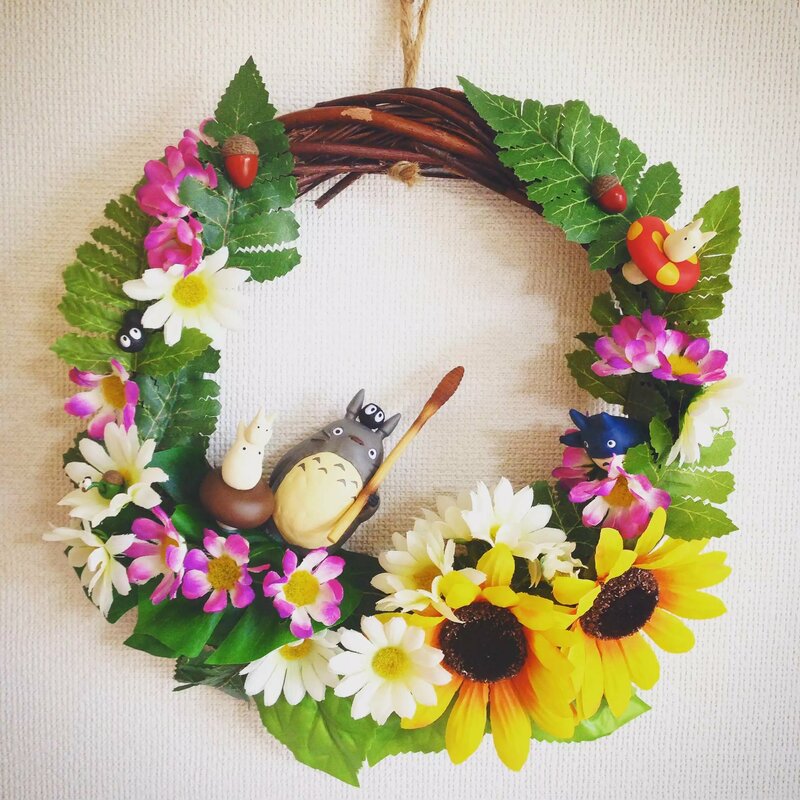 I chose to use sunflowers because they really remind me of Mei and summer! I’m excited to hang this in my house this summer. It will make my heart sunny and remind me that just because people misunderstand your creative ideas, it doesn’t mean your ideas are worthless!